Oral surgery may be a lot more common and comfortable than you think, and possibly just what you need to relieve significant oral pain or reconstruct your smile. If you live in or near Round Lake Beach, Illinois don’t delay in seeking a personalized consultation by Dr. Dave Canty at Rollins Family Dental Center. Call for an appointment or book online. Oral surgery is an invasive procedure used to restore the health, function, and appearance of your mouth. From your teeth and gums to your jaw and throat, oral surgeries treat a variety of dental conditions. What Causes the Need for Oral Surgery? You may be surprised to learn that oral surgery usually isn't nearly as complicated as most medical surgeries. 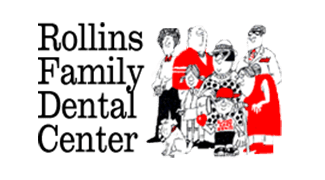 The staff at Rollins Family Dental Center conduct a thorough oral examination, often taking X-rays to help diagnose the exact cause and location of your pain. They usually only administer local anesthesia instead of a general one, meaning you don’t need to be asleep during the procedure and only your treatment area requires numbing. Most oral surgeries are routine chairside treatments that are often performed and finished on the same day. Downtime varies, but discomfort is usually mild and manageable. These days, most oral surgeries don’t deserve their old reputation thanks to incredible advances in dental diagnostics, techniques, and tools. Local anesthesia numbs away most discomfort, and new approaches to oral surgeries often reduce the size of incisions, length of the procedure, and the amount of natural tissue loss. The staff at Rollins Family Dental Center are highly skilled with the latest oral surgery methods and guide you through the process, minimizing any pain you may feel at every step of the way. If you’re a good candidate for oral surgery, you will most likely enjoy more than just relief from symptoms. Usually, oral surgeries treat the cause of your dental condition, removing the problem from your life instead of temporarily masking it like pain medication. The most significant benefit is often preventing complications like tooth loss or infection, but restoring your smile is also important and shouldn’t be underestimated. To learn more about how easy most oral surgeries are today, and to see if it’s the solution to your pain, call or book an appointment online now.